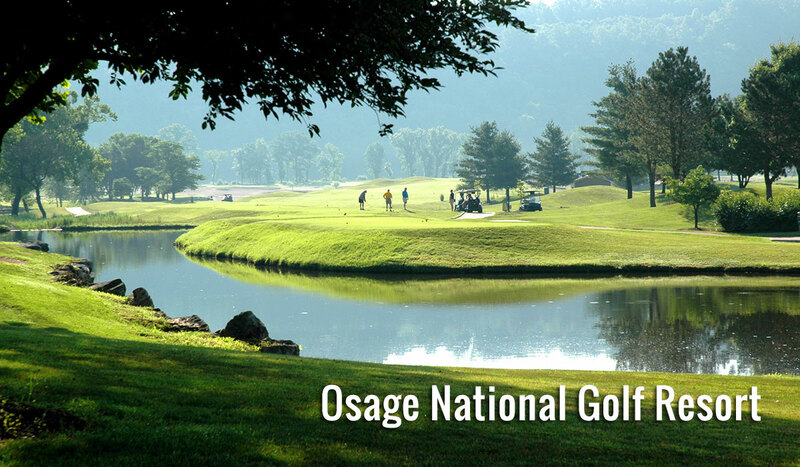 Osage National's original 18 holes, designed in 1992 by Arnold Palmer, feature 7,150 yards of zoysia fairways and bentgrass greens. An additional nine holes (3,559 yards) have been added to create three 18-hole combinations. 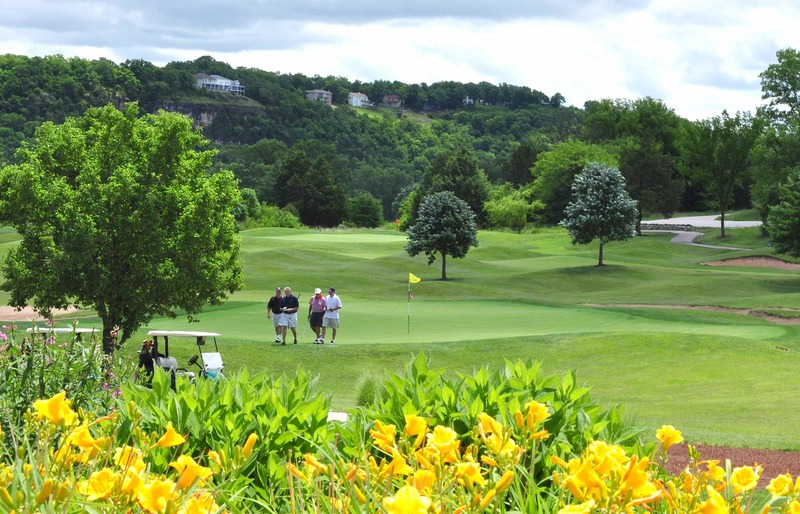 The course is laid out on beautifully forested, rolling terrain and surrounded by lakes, creeks and the imposing bluffs of the Osage River. This tranquil setting provides the backdrop for a challenging, enjoyable golf experience. As the course motto suggests, this truly is "The Must Play Course at the Lake." This course has been host to The Michelob Skins game featuring Arnold Palmer, Tom Waton, Lee Trevino and Payne Stewart. It also hosted the National Club Pro Championship, many PGA Section events and many charity events. Osage National features a 20,000 sq. ft. clubhouse with 5,000 sq. ft. Tournament Room, a driving range, two large practice putting greens, and a full-service restaurant. Tee times are accepted 60 days in advance and may be made online at www.osagenational.com . It is recommended that golfers call no less than 48 hours in advance. 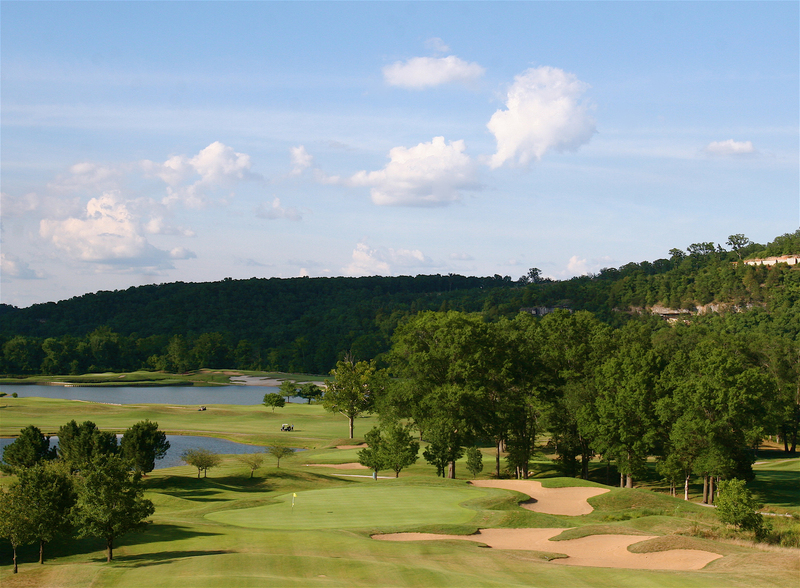 Osage National is the "Missouri's Must Play Getaway."